As much as I love diving into a complicated recipe, using (read: dirtying) every dish in my kitchen and letting things simmer and stew all day long, there are days when I need a simple meal. The days when my husband has to work a bit late. The days when the kids are tired, and need a little extra TLC. The days where I just need a little extra TLC. And by TLC, I mean, like, 3 extra cups of coffee because I’m still dragging from my new early morning workout routine. Speaking hypothetically, of course. Those are the days I’m talking about. 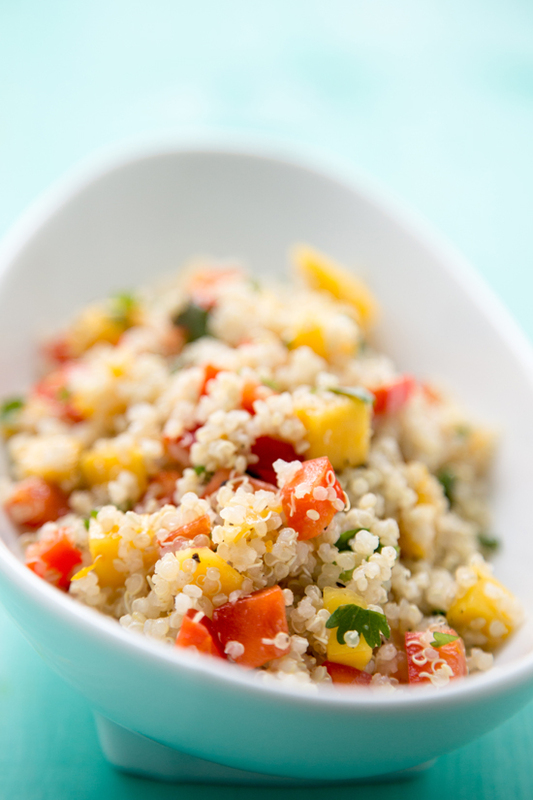 Those are the days when I need a quick and simple, yet flavor packed Tropical Quinoa. I’ve been making this recipe for years and just rediscovered it along with my love of quinoa. That nutty little minx. Plus, it’s done in less than 20 minutes. The longest part is boiling the water. That’s not too bad, is it? Also, can I mention how easy it is to roast shrimp? Criminally easy. Throw shrimp on a pan, drizzle with oil, sprinkle with seasonings and then roast. Plus, they’re shrimp, so they’re done in less than 10 minutes. I told you – criminal. It’s also criminal that I just ‘discovered’ this method very recently. I don’t know where roasting shrimp has been all my life, but it’s here to stay. Oh, how I love you, Roasted Shrimp! I would write sonnets about you if I knew exactly what a sonnet was. 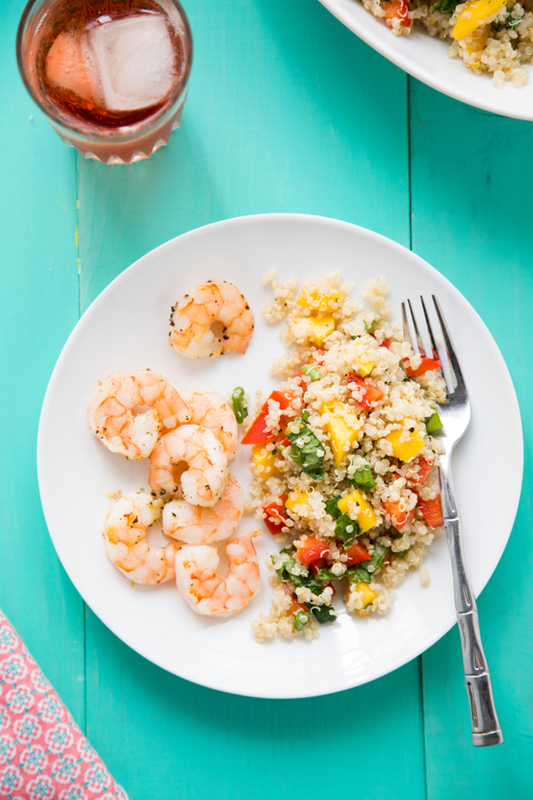 You’re not to shabby yourself, Tropical Quinoa. Not too shabby, at all. In a small saucepan, bring water, salt and quinoa to a boil over medium heat. Cover, reduce heat to a simmer and cook until quinoa is tender and water is absorbed, about 15-20 minutes. Fluff quinoa with a fork. In a large bowl, add cooked quinoa and all remaining ingredients, stirring to combine. Season with salt and pepper to taste. Quinoa can be served warm, room temp or cold. Pat shrimp dry with a paper towel then spread shrimp out on rimmed baking sheet. Drizzle shrimp with the olive oil and season with salt and pepper. Toss shrimp to coat in oil and seasonings. Roast shrimp for about 7 minutes or until pink, firm and cooked through. 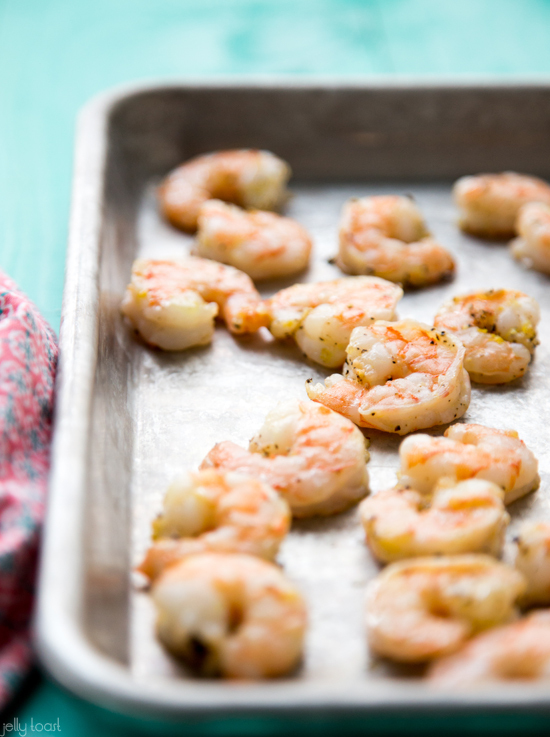 Allow shrimp to cool for about 3 minutes before serving. 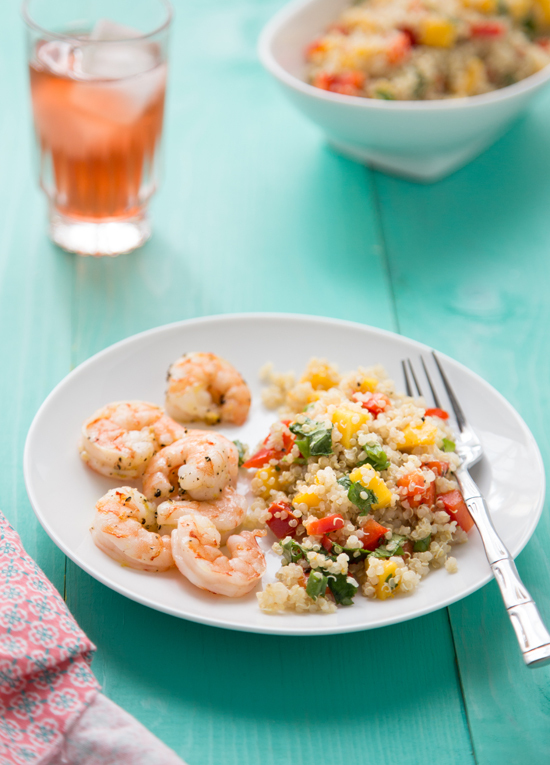 Serve along side Tropical Quinoa for a simple and light meal. I’m totally with you, Carey! I can last a few days with fending for ourselves, but after that, I kind of need some real food. Even if my energy or ambition level isn’t too high. Thanks so much for taking the time to comment! This is definitely everything a spring/summer dish should be! We made this tonight for dinner and it was delicious! 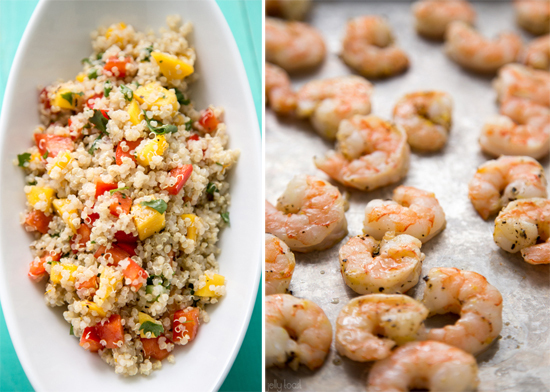 The quinoa was the best quinoa recipe I’ve ever tried – even my kids devoured it. Thanks! hi, i just made this for Sunday lunch ( im in Europe so now its about lunch time) and it was delicious! first time im cooking quinoa and i loved it! 🙂 thank you for this recipe!